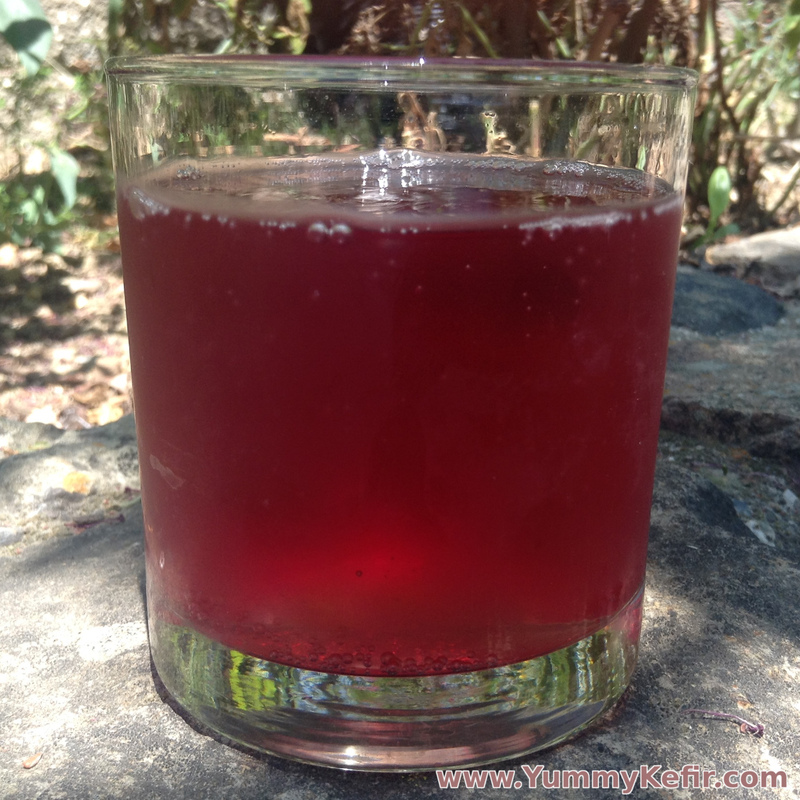 Fizzy blueberry soda is a delightful treat you can give yourself whenever you want when you are brewing your own water kefir. Just add some blueberry juice to your already finished water kefir, mix, bottle and let it get fizzy. Everyone will be jealous that non only do you have a beautiful blueberry soda but you are also getting your probiotics at the same time! Mix together the blueberry juice and water kefir. Tightly bottle for 1-2 days to build carbonation then refrigerate and drink chilled.